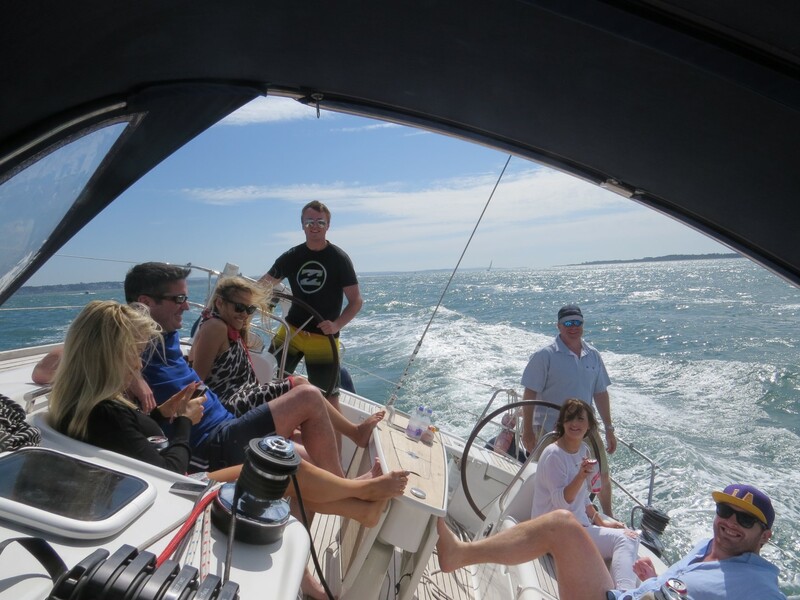 Company sailing days and corporate yacht charters are the ultimate event for client hospitality, Marine Events provide sailing experience days with up to 8 hours on-board your own luxury private venue. 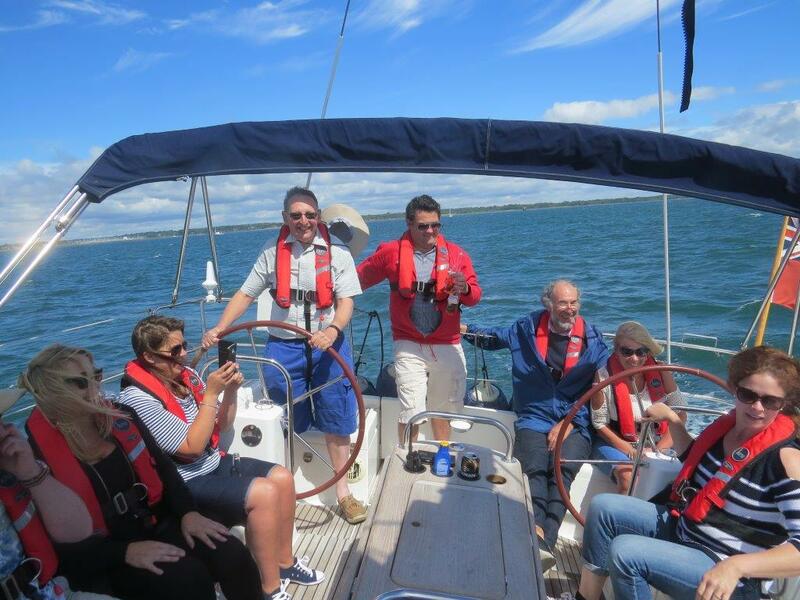 They provide an ideal chance to chat to clients or bond with staff, while cruising the sheltered sailing waters of the Solent. 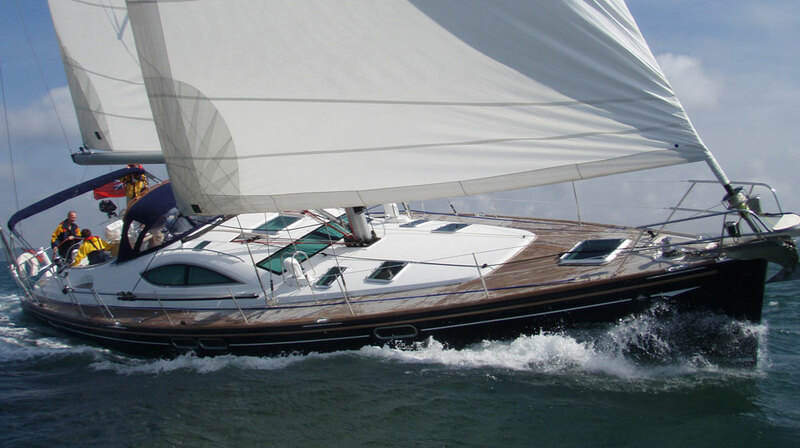 The sailing yachts we provide on these luxury sailing days combine the sheer power and excitement found when sailing a large yacht of this type. 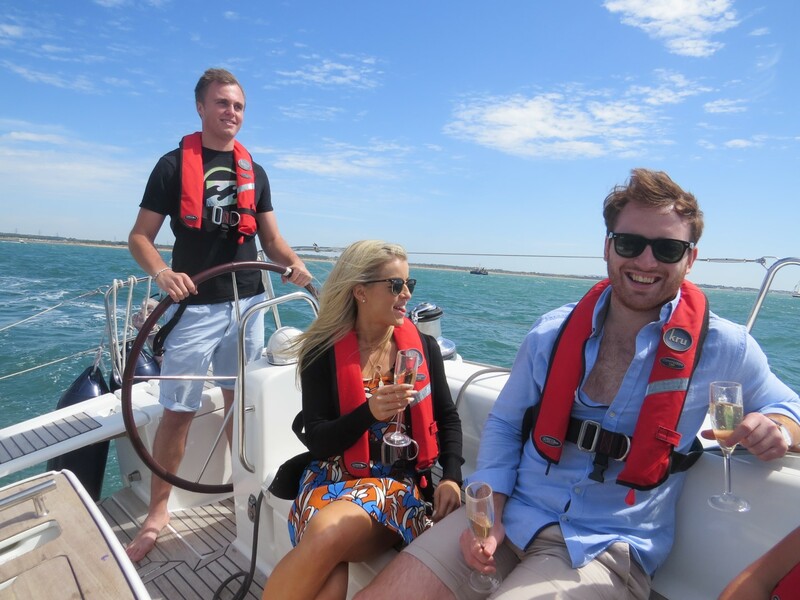 They also provide a level of luxury and comfort usually saved for time spent on powerboats. 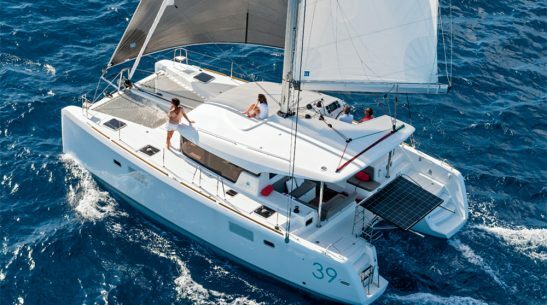 They are fun and exciting boats to sail for the keen sailors amongst your group, but also provide a comfortable and stable platform for those in your group that may not have quite found their sea legs! These sailing yachts provide a superb venue for entertaining your most important clients or for rewarding your staff for their work. 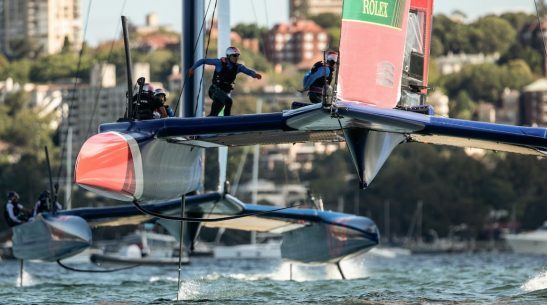 They will guarantee to impress all that sail on them for the day, but more importantly your company’s hospitality and the event itself will be discussed for years to come! Luxury Sailing Day – What’s included? 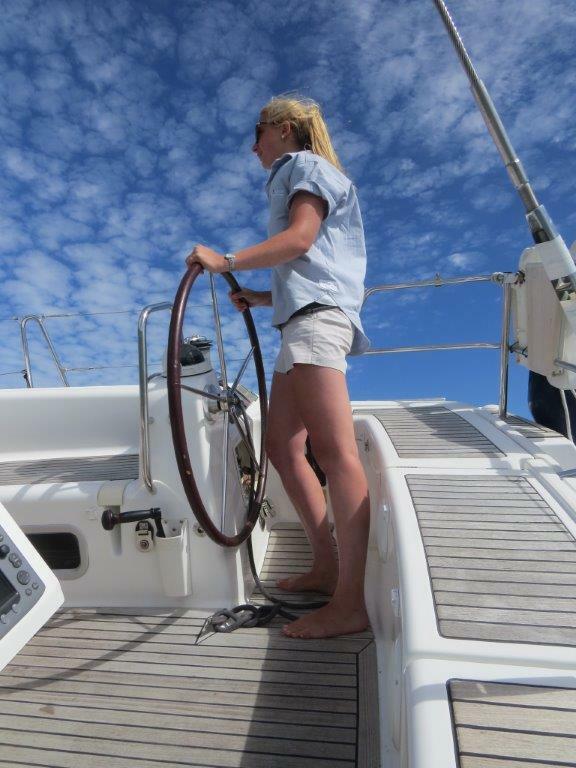 CHOOSING A LUXURY SAILING DAY………………WHY? The yachts we provide on these days combine the sheer power and excitement found when sailing a large boat of this type, but they also provide a level of luxury and comfort usually saved for time spent on powerboats. They provide a superb venue for entertaining your most important clients or for rewarding your staff for their work, they will guarantee to impress all that sail on them for the day, but more importantly your company’s hospitality will be discussed for years to come! 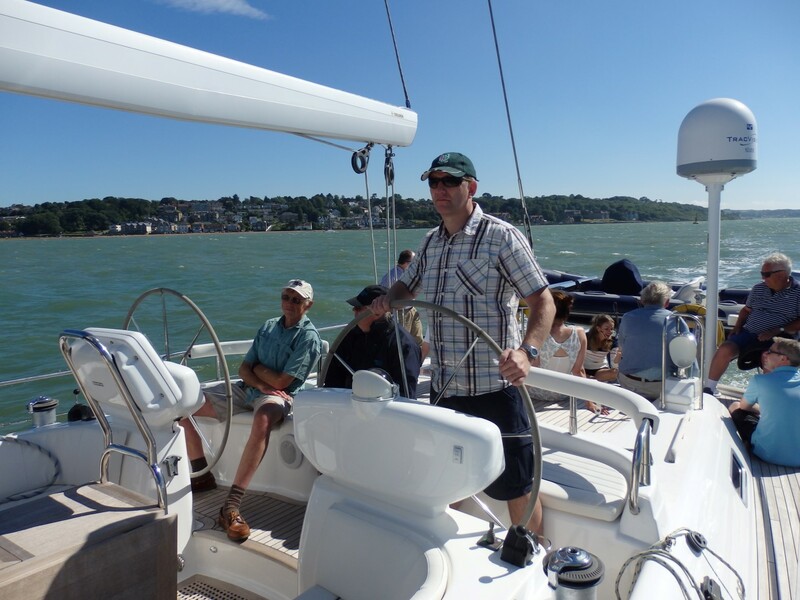 yachts will be based on the beautiful South coast with easy access into the sheltered sailing waters of the Solent and only a 15-minute drive from the M27. At the end of the breakfast reception there will be a safety briefing and an introduction to the skippers (who will be commercially endorsed DOT Yachtmasters or equivalent). At the same time we will issue wet weather clothing and life jackets. We will then leave the dock in the yacht for a gentle 5-minute cruise out of the river and into the Solent. This will give participants the pportunity to familiarise themselves with the vessels. During the morning the guests will get their first taste of cruising onboard a luxury sailing yacht. Everyone will get plenty of opportunity to try some hands on sail handling, manoeuvres and helming. Great fun for experienced sailors and novices alike, alternatively they can just sit back and relax. 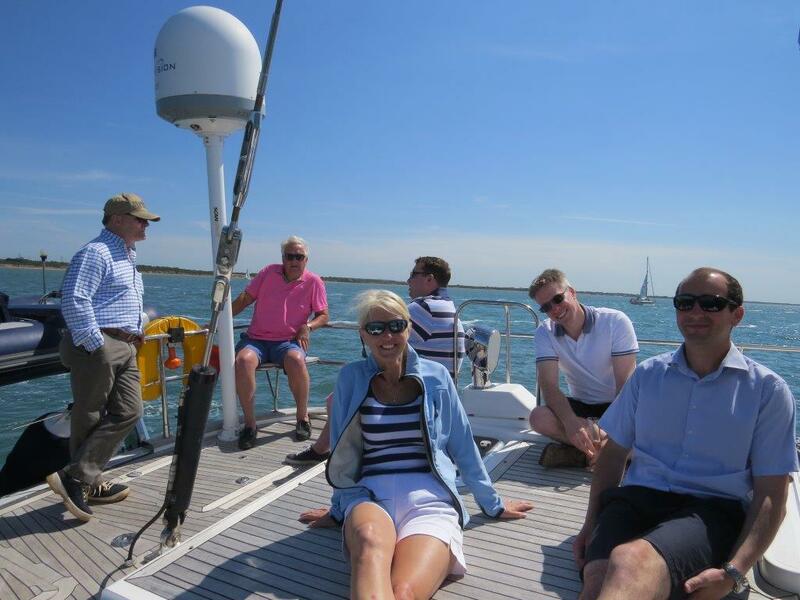 Lunch will be served on board the yacht by your host, at one of the many sheltered anchorages around the Solent. It will include a 3 course summer buffet lunch (see below) accompanied by fine wines and chilled beers. The lunch break will give the group a chance to chat over the morning’s events. 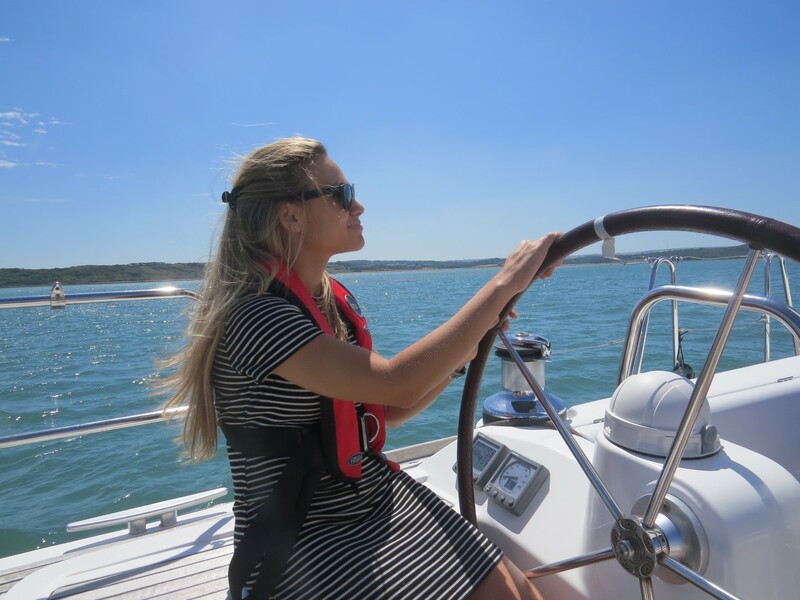 During the afternoon the guests will get more opportunities to helm a luxury yacht, while extending the day’s exploration to places such as Beaulieu, Lymington, Yarmouth or maybe the spectacular Needles on the Western tip of the Isle of Wight. 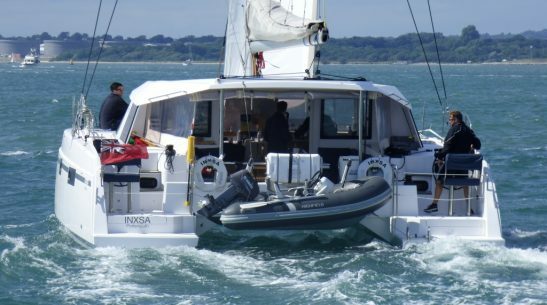 The yachts will cruise the sheltered sailing waters of the Solent eventually ending up back at the yachts base in the Hamble River.